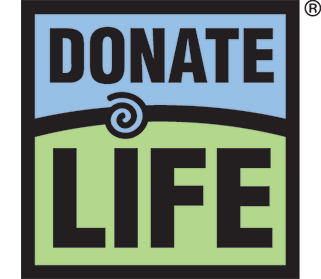 Donor Alliance volunteers and advocates are the heart and soul of our efforts to inspire and inform our community about the importance of signing up to be an organ, eye and tissue donor in Colorado and Wyoming. Each of our volunteers and advocates has their own unique and inspiring story to tell. 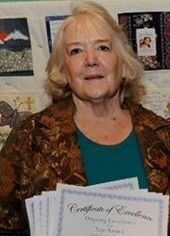 This month, we are featuring D’Anne Van Gilder, an advocate for the cause and quilter. What is your favorite memory volunteering for Donor Alliance? Hearing stories of families that have received quilts and what the quilts meant to families. What is your proudest accomplishment? Mother to an amazing young woman who is a great mother and wife and a gifted MD. What song would you sing at karaoke night? Anything and everything Neil Diamond! What are some of your favorite hobbies? Quilting, of course. If you could take an all-expenses paid vacation, where would you go? Portland ,OR, where the grand babies are. What is the last book you read or movie you saw? Would you recommend it? Hidden Figures, (I’m a little behind), it was excellent! What is the best piece of advice you’ve ever received? Make every day a good one – it’s your choice.